From the numbering, I’d say the page dates to circa 1925, when these types of pattern were the only ones to have colour envelopes. Absolutely gorgeous and very inspiring! Thanks for sharing! 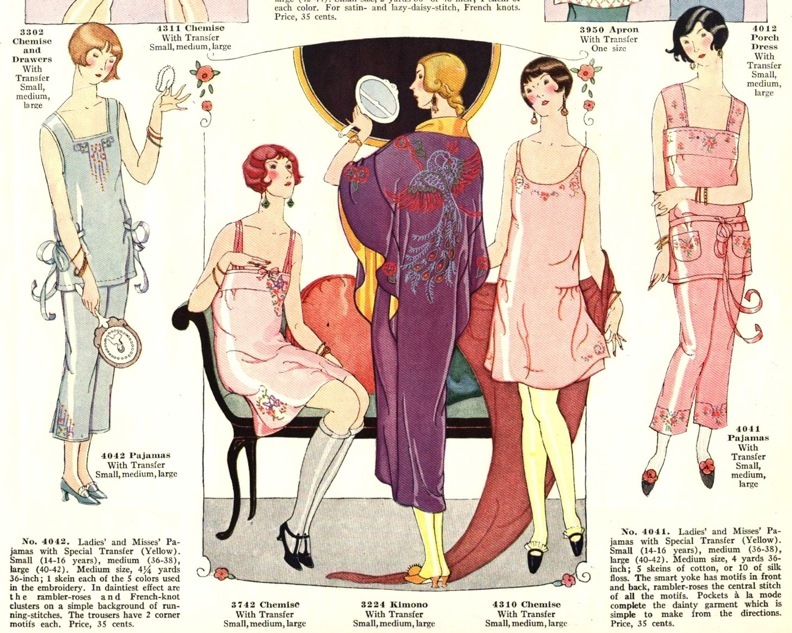 Have a look at these fab illustrations from the mid 20s. Valentine’s day is over, so what? It’s always time for nice lingerie in my book. 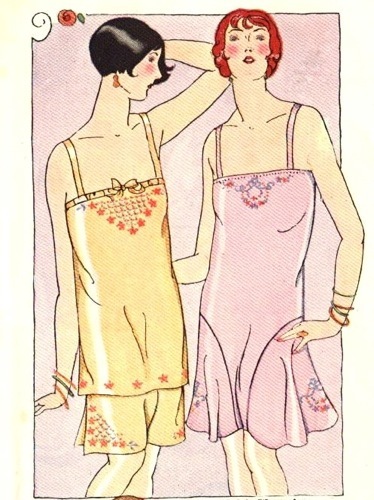 Ah, and just think, this intimate apparel would have surely been made out of silk – simply heavenly! Gorgeous! I love illustrations / adverts/ posters, etc. from the 1920’s.